Tinsel & Tine: To create a magical world like in Epic you must be in touch with your inner child. What do you attribute to being able to continually access this part of yourself? And what was your favorite childhood tale? Chris Wedge: We didn't get to watch as many movies as kids get to watch now. We didn't have any Netflix, We didn't have VCR's! I don't know how old I look to you guys...we had to go to the movies or wait for movies to come on TV. 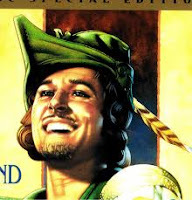 What I liked as a little boy were adventure movies - Robin Hood, Errol Flynn with his hands on his hips swashbuckling through movies, Captain Blood, King Kong. I came of age in the 70's and movies got a little bit more down to earth with anti-heros. I always loved movies with a lot of action, but also a lot of banter, characters fighting in mortal danger, but still quipping to your buddy; that's what Robin Hood's about, that's what Butch and Sundance are all about, I love that tone. CW cont: And a lot of that is what inspired this movie (Epic). Blue Sky movies have been fun, colorful character comedies, it's comedy that I think breaks out of what people consider children's fare, into broad audience fare. And with this one (Epic) I wanted it to be the scope, the spectacle, the adventure, the action, that pulls it out of that unfortunate pigeon hole that we find ourselves in animation, that it's only for kids. I know we're talking to moms and kids, and I love kids, but when I was a kid, I watch old Fleischer Brother cartoons and Popeye and Looney Tunes, these weren't made for kids. Looney Tunes were a bunch of knuckleheads at Warner Bros. entertaining themselves. (The gnarly supposedly sage guide of the forest). Tinsel & Tine: The title of the movie – Epic is a lot to live up to. Was this the title all along? 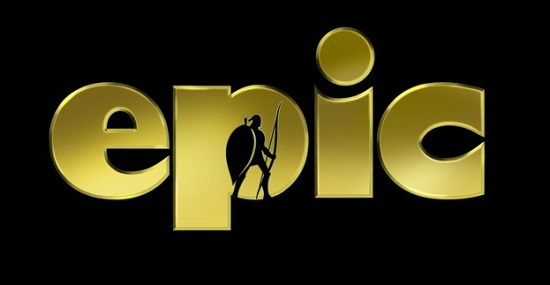 If not, when did everyone decide the story got big enough to be called Epic? Chris Wedge: It wasn't always the title of the movie, we went through a couple of them and some of them weren't available to use, and some of them seemed... ya know... what would you title it? It's a tough one – the movie about the guy who looks for little people in the woods? I don't know... It was hard, and so this one we landed on, and the idea when we first thought of it was that we'd always use it ironically, the title's in lowercase letters (epic). We tried to make the title as little as we can (on the poster) big story in a small world. so we got a guy with a boom from the union and he followed Christoph around. He also insisted on doing all his scenes through, so I would find myself playing against him. I read my line and I'd look up an expect to see him looking at his podium, but instead he'd be in character, burning a hole in my head with his gaze. Tinsel & Tine: I read an interview you did with IGN back in 05 they asked you: What is the one project that you've always wanted to do, but have yet to be able to? You answered: "Someday, I'd like to sit down with a small group of people, in a relaxed environment, and make a film that feels more independent. That way we can be a little more free in terms of storytelling and subject." T &T cont: I was listening to a talk Steven Soderbergh gave at the SF Film Fest (click for recording of his speech) recently speaking along the same lines and he said that even movies with a small budget to make, cost a lot to put it out. Do you feel your any closer to this dream project? epic Vocal Cast: Amanda Seyfried, Colin Farrell, Beyoncé Knowles, Josh Hutcherson, Christoph Waltz, Aziz Ansari, Chris O'Dowd, Pitbull, Jason Sudeikis & Steven Tyler. 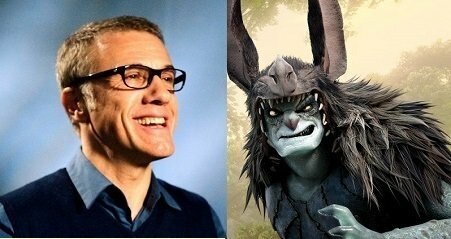 epic is loosely based on William Joyce's children's book The Leaf Men and the Brave Good Bugs. 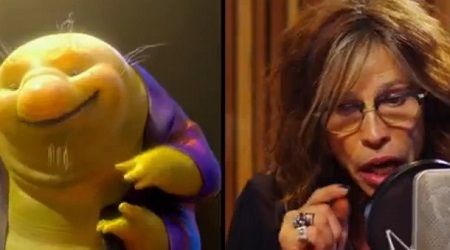 The animated movie out at Christmas Rise of the Guardians (click for T &T post) was also based on a story by Joyce.